We are surrounded by lies, from little white ones to huge whoppers coming out the mouths of politicians. Lying is human nature. But what if it were the worst crime you could commit? Lazslo Ratesic is a Speculator for the Golden State. He can sense lies and it is his duty to apprehend the liars. When he is made to take on an apprentice, they find themselves investigating a death which has anomalies. The truth is not clear, but uncovering it will lead them down a dangerous path. Imagine if everyone did it. Imagine if each person was allowed the luxury of claiming their own truth, building a reality of their own in which they can live. Imagine the danger that would pose, how quickly those lies would metastasize, and the extraordinary threat that would pose to the world. I thoroughly enjoyed this noir-style, near-future murder mystery. It's full of observations about lying and surveillance. It feels a very topical story, mixing the surveillance state with the cried of fake news, making people not know who to trust. Fiction is presented as truth and truth is now subjective. So you can see where the idea for Golden State came about, a future where they have decided that lying was our downfall. This is not a world without small untruths, there are caveats around flattery, humour and metaphor. Everything goes on the Record, cameras watching every moment so they can be recorded as fact. People must keep a diary, a day book, and file each days facts along with evidence. Receipts, tickets, photos, the flotsam and jetson of everyday life. It all helps uphold the truth. Fiction does not exist in the Golden State. Novels exist but they are true statements of historical events written in narrative form. The book starts with an extract of one such "novel" and it is revisited throughout the story. That "novel" is about Laszlo's brother Charlie, who died doing his duty. People are going to lie: they want to, they need to. Lying is born into the species. You know this is true as well as I do. There is something perfect in a lie, something seductive, addictive; telling a lie is like licking sugar off a spoon. Think of children, think of how children lie all the time. We have imaginary friends, we blame our misbehavior on our playmates or our siblings, we claim not yet to have had dessert so we can cadge a second cookie. I felt the ending was a little too convenient, but otherwise I loved it. 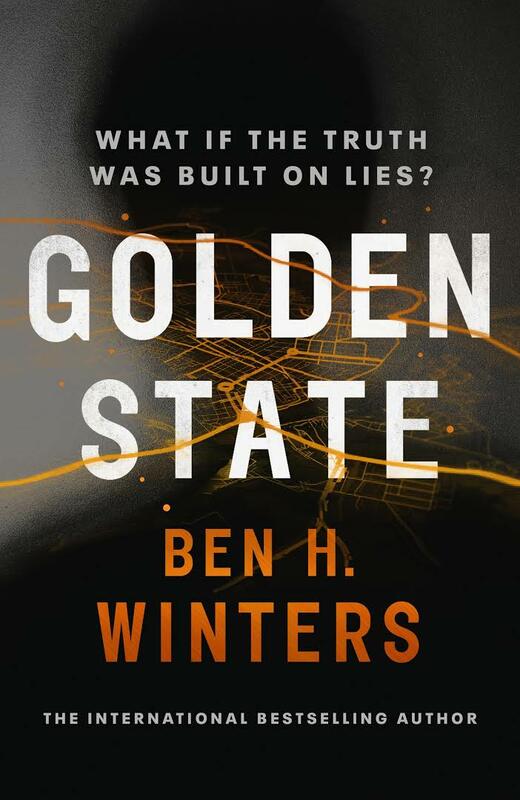 Golden State is published by Century and will be available in hardback and ebook editions from 24th January 2019. Thanks go to the publisher for providing a copy for review.